When’s the last time you actually ate that slice of lemon perched on the side of your glass of water or iced tea? Lemons have somehow gotten a reputation of being pretty to look at but irrelevant to eat. But in spite of their role in the restaurant industry, lemons boast of more health benefits than the average fruit. Lemons have incredible health-boosting powers thanks to a perfect balance of vitamin C, magnesium, citric acid, and bioflavonoids that help our bodies fight infection. They’re also a great weight loss and detox aid because the juice of lemons serves as a digestive aid and liver cleanser. We’ve all heard the saying, “An apple a day keeps the doctor away,” but a lemon? 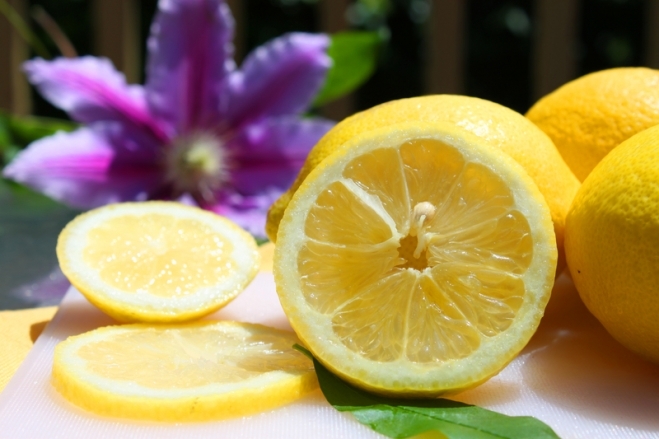 From acne to anxiety, canker sores and fever, lemon seems to be an incredibly healing fruit. If you can’t stand the taste or simply can’t keep enough of them around the house for the whole family, there are other safe and natural ways to incorporate lemons into your diet. Since the rinds of lemons are full of beneficial nutrients as well, all-natural lemon capsules and powders are the only practical way consume a lemon in its entirety and reap all of its benefits. Place the artichoke hearts, yogurt, Parmesan, scallion greens, basil, garlic and lemon peel in a small mixing bowl and mix well. Place in a small oven-proof casserole or dish, transfer to the oven and bake until bubbling hot for about 12 minutes. Serve immediately with thick pita chips. This recipe takes only twenty minutes to make and yields one cup of dip, which you can multiple as needed. Try shaking lemon powder onto a meal of fresh fish to reduce the acidity and bring out the natural flavors in the juices. Add a spoonful of lemon powder to your smoothie to add even more nutritional value to your healthy breakfast routine. Shake some lemon powder on your popcorn instead of salt to give it a uniquely delicious flavor without all that unwanted sodium. And don’t forget to bite into that lemon lingering on your glass next time you’re at restaurant for a quick vitamin fix on the go!